mexico city! el df! hotbed of freely improvised cosmic psych! 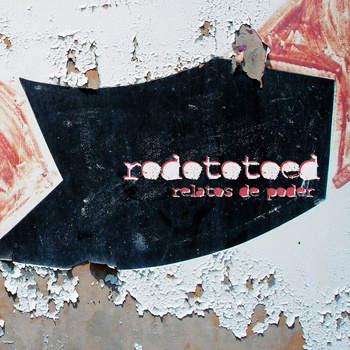 rodototoed’s new album, relatos de poder, consists of two tracks that were recorded at the moment of inception. droning, swirls, guitar noodles, loose jazz drums come in and out creating a mellow cacophony that meanders and twists and turns before leaving this universe for parts unknown!